A Google doodle on June 6 honoring the 185th birthday of Honinbo Shusaku sparked a bit of a kerfuffle in the UK when Google hastily replaced it with links to letters, photos and maps of the Normandy landings to honor the 70th anniversary of D-Day. “What were you thinking #Google?” chided a tweet. “Unfortunately a technical error crept in and for a short period this morning an international doodle also appeared,” said Peter Barron, Google’s director of communication. 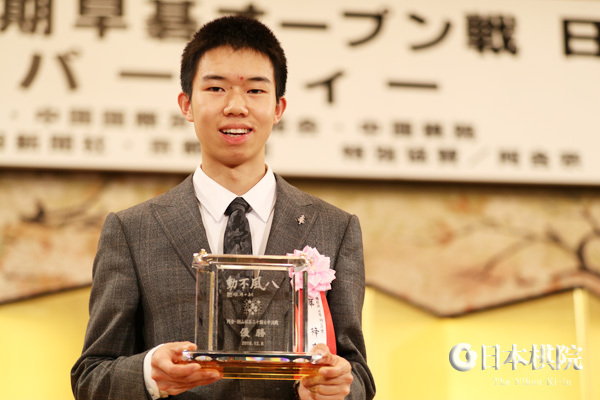 “We’re sorry for the mistake, and we’re proud to honour those who took part in D-Day.” The Shusaku doodle remained in some countries, including Japan and Hong Kong, honoring one of the greatest go players of the 19th century. 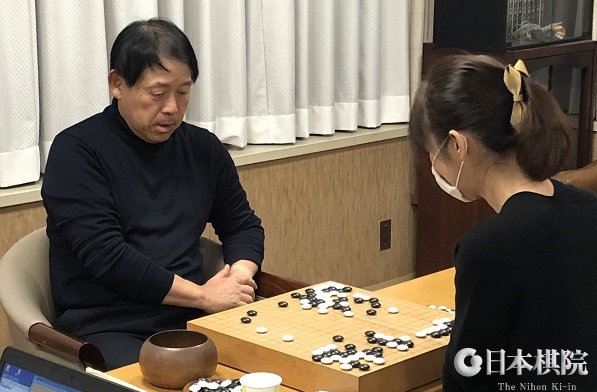 Click here to read Go Game Guru’s report, which includes Shusaku’s famous Ear-reddening Game, and here to read the BBC’s report. Click here for an interesting discussion on Board Game Geek about which countries the doodle appeared in. Thanks to readers around the world who sent in sightings and links to reports. Western go players sightseeing in Japan won’t want to miss Innoshima in the Hiroshima prefecture. That’s the birthplace of Honinbo Shusaku, the most famous go player ever. Shusaku was born as Kuwahara Torajiro on June 6, 1829 in Innoshima. At the age of 10 he moved to Edo (now called Tokyo) to join the legendary Honinbo go house. Even after he became a professional go player, Shusaku returned to Innoshima for long stays. 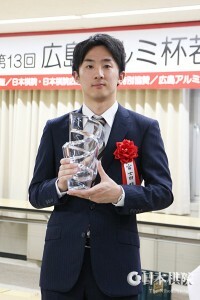 The people of Innoshima are very proud on Honinbo Shusaku and value his heritage, calling themselves a “Go playing city” where as much as ten percent of the 20,000 inhabitants play go and twice a year Innoshima hosts a a “Shusaku Honinbo Go Festival” for professional and amateur go players. The “Honinbo Shusaku Igo Memorial Hall” is a fascinating museum honoring Shusaku’s life and accomplishments, showcasing many artifacts of his life, including the old goban on which his mother taught him go. In the museum’s back yard there is a reconstruction of the actual living house of the family. The museum’s memorial hall is also used for go events, including professional ones. There are always go boards available for guests and it’s amazing to see all the letters, game records and go material related to Shusaku’s fascinating life. 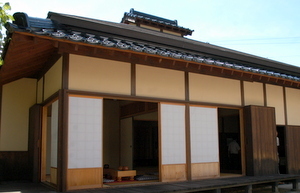 Next to the hall one can find a shinto shrine constructed by a later Honinbo in Shusaku’s honor. 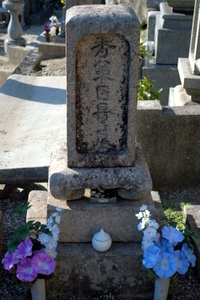 Not far away is Shusaku’s grave. It is said that one becomes two stones stronger by touching the gravestone, and it’s traditional for visitors to light an incense stick there in the great player’s memory. “Invincible: The Games of Shusaku,” John Power’s classic and widely-acclaimed masterpiece on one of the greatest go players who ever lived is now available in SmartGo Books. 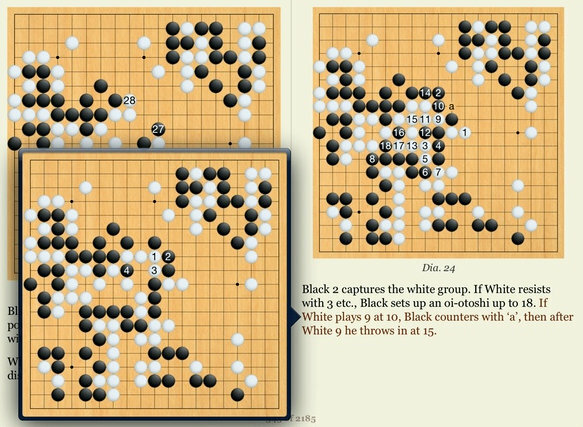 Originally published by Kiseido, the SmartGo Books edition of Invincible “includes the complete text, games, and diagrams of the print edition, painstakingly converted to digital format,” SmartGo’s Anders Kierulf tells the E-Journal. “And it takes full advantage of the digital medium – be prepared to experience this classic in a whole new way.” Features of the new edition include the ability to replay moves in figures and diagrams, play out your own variations, fewer moves per figure, with the appropriate text for each figure, and inline diagrams for move sequences embedded in the text. Best of all, the new edition’s portable accessibility on iPad or iPhone means Invincible — at an introductory price of $19.99 – can now always be with you. SmartGo Books is a free app for the iPad and iPhone available on the App Store. Check out free chapters of over 30 go books and purchase those you like using in-app purchase. In our recent “Shusaku Number ” article (What’s Your “Shusaku Number?”), we mistakenly reported that Hoensha founder Honinbo Shuho faced Shusaku in four of the “Castle Games.” Shuho actually never had the chance to play in those matchups. However, records of 38 games between the two masters have been preserved. The oldest dates from 1850, when Shuho was just twelve years old; most notable is the ten-game series (jubango) that Shuho and Shusaku played in 1861. In that series, playing mostly Black with no komi, Shuho managed six victories and one tie. For more details including copious historical material and several commented game records, you can consult Invincible: The Games of Shusaku, generally regarded as one of the most important go books to ever appear in English. 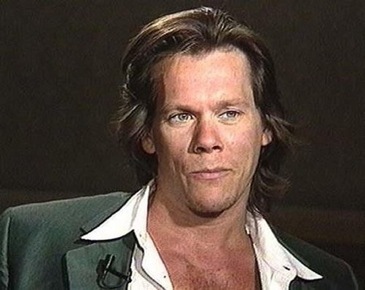 Six Degrees of Kevin Bacon is a trivia game based on the concept of the small world phenomenon and rests on the assumption that any individual can be linked through his or her film roles to actor Kevin Bacon within six steps. Now there’s the Shusaku number, which represents the “distance” between a go player and Honinbo Shusaku, measured in go opponents. Kuwahara Shusaku (1829-1862) was the strongest player of Japan’s “Edo” period, a “golden age of go” where four “houses” devoted themselves to winning the honor of playing in the “Castle Games” for the Emperor. 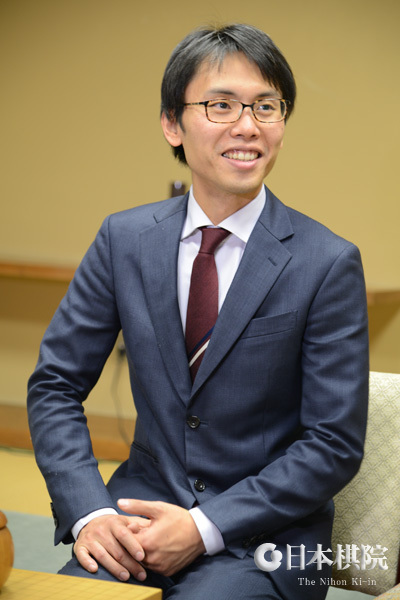 The author of the most famous move in go history – the so-called “ear-reddening move” – Shusaku once famously responded, when asked the result of a game, “I had black.” (The komi system was still more than fifty years in future.) He won nineteen consecutive games over a thirteen-year period, an unparalleled achievement, before dying of cholera at age 33. To equal this achievement today, a player would have to win every game on white by at least eight points. 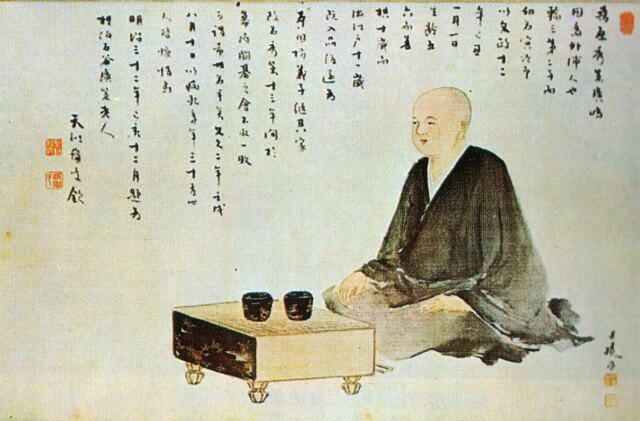 The ideas Shusaku left behind, especially the so-called “Shusaku opening,” formed the foundation of go theory for the next hundred years. How closely are you connected to Shusaku? 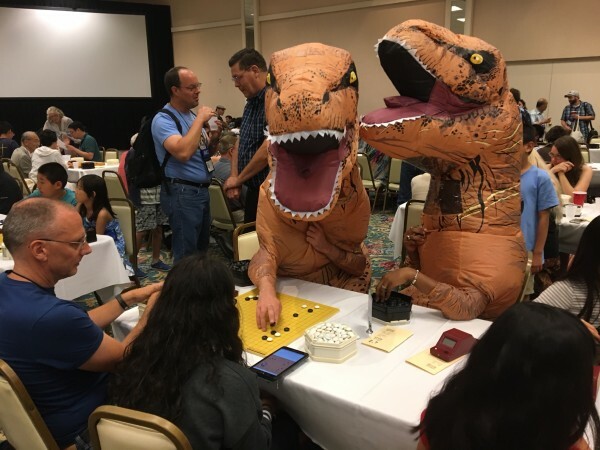 Borrowing from the world of mathematics, where authors proudly calculate their “Erdos number”, some go players enjoy figuring out their “Shusaku number,” a series of games leading back to the historic figure. For instance, The E-Journal’s erstwhile translator Bob McGuigan’s “Shusaku number” is four, a very respectable achievement for an amateur player. McGuigan once played a game with Sumiko Shiratori 5P, who in turn once played Fumiko Kita 6P, an important figure in the Hoensha, forerunner of today’s Nihon Kiin. Ms. Kita in turn once played Hoensha founder Honinbo Shuho, Shusaku’s unlucky opponent in four “Castle Games.” That’s a three-player link, so Bob is a four. (Shusaku’s “Shusaku number” is of course zero.) If you have ever played Bob, you are a five. Click here to learn how to trace your “go lineage” to the great master. When you’ve got that all figured out you can take it to the next level, and try to figure out your “Winning Shusaku Number,” where you have to trace a series of victories all the way back to someone who beat Shusaku. Handicap wins on black don’t count, so good luck with that . . .
HWANG TOPS SHUSAKU CUP IN ROMANIA: Hwang In-Seong 8d, undefeated in six rounds, swept a very strong field at the Shusaku Cup in Tirgu Mures, Romania March 26-28. Next were Catalin Taranu 7d, Ilya Shjiksin 7d and Christian Pop 7d, atop a field of 150 in the main event. Younger double-digit level players were invited to the Junior Cup. Click here for the full results. Chinese pro’s were invited for teaching and game comments and EuroGoTV to relay games from the top boards. GERMAN NEWS: BONN TENUKIS TO WIN: Consistent with their name and track record, the Bonn-based Tenuki Club’s team won the 2009 NordRhein-Westfalen state title last week in Detmold. The club had won the 2009-10 Rhein-Maas (international) league earlier this year, also playing out of town. POLISH NEWS: MAZUREK-SOLDAN PAIR CHAMPS: Although TD Marek Kaminski had hired a huge hall at Nature University last weekend in Poznan for the Polish Pair Go Championships, barely enough pairs showed up to fill the winner’s podium. Katarzyna Mazurek 2k and Polish Champ Leszek Soldan 5d took the title, while Klaudia Kleczkowska 4k and Krzysztof Dziolak 1d brought back home silver medals. The bronze pair took last place. Click here for a gallery of photos by the TD. That same weekend, the Poznan club promoted go at a national Fantasy meeting in town. POLISH SUMMER CAMP MOVED TO AUGUST: The traditional July Polish Summer School has been rescheduled to August 8-22. Click here for details in English and links to a gallery of photos. PABICH TO YOUNG MASTERS LEAGUE: Mariusz Pabich 2d from Pabianice won the March 20-21 qualifier in Lódz and moves to the Young Masters League, 2 points clear of six youngsters with three wins each. BEREZA BEAT ALL AT MIKULÓW: On the same weekend, Jan Bereza 2k swept the event in Mikulów 4-0, topping the 10-player field. SANKIN COLLECTS JAPANESE COUNCIL CUP IN ST PETERSBURG: Timur Sankin 5d took the Japanese Council Cup March 20 in St Petersburg, Russia, winning all six rounds. Ivan Kulikovskij 4d was second. Also with 5-1 results: Makar ‘killer’ Zabijakov 5k and Anton Pleshakov 13k in a field of 59. Click here for full results. SILT SWEEPS LINZ: Czech Champ Ondrej Silt easily swept the Linz tourney in Austria March 20-21, topping the table with a two-point margin over three Austrians. Wolfgang Kremes 2d (silver) and Lothar Spiegl 4d (bronze) also made the podium. In the field of 29, only local Ronald Schatz 5k had a 4-1 result. KACHANOVSKYJ WINS KIEV: Young Artem Kachanovskyj 6d (artem92 in KILL A-league) from Rivny scored a victory at the Viktor Tishenko Memorial in the Ukrainian capital Kiev on March 20-21, topping 44 players. Veteran Dmytro Jacenko 5d won 4-1 to take silver. Click here for full results. ARTEM’S LEAD DWINDLES IN KGS LEAGUE: Artem Kachanovskyj is hanging onto his lead in the KGS Insei League’s A-league by a thin 1% threat. His 89% wining record barely leads Fredrik Blomback’s 88%, attained since organizer Alex Dinerchtein introduced bonuses for those who play more. Danigabi follows at 81%. In division B last week leader Fedor added two wins (one over Dinerchtein) for 100% and Elvina Karlsberg is close behind with 95%. Remake from Sweden is third at 81%. In C-league, Texmurphy (Hungary) is on top with 112%, closely followed by DRhazar from Canada with 118%. 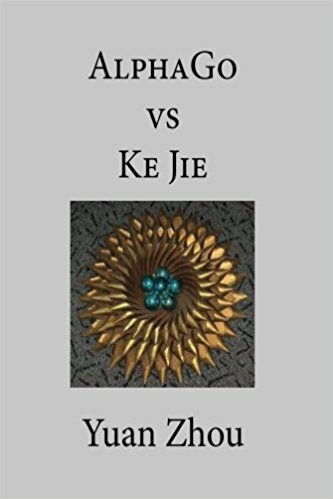 Yuan Zhou’s “AlphaGo vs. Ke Jie 9P”: Also just out is Yuan Zhou’s “AlphaGo vs. Ke Jie 9P” from Slate & Shell and available through Amazon. 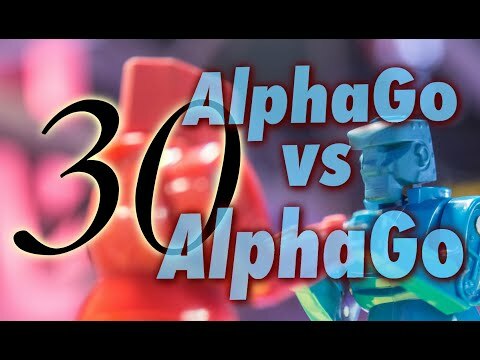 Despite losing all three games, Ke Jie did better than any one else had, and Yuan Zhou gives a thorough and insightful analysis of the match and reflects on the significance of AlphaGo for the go community.